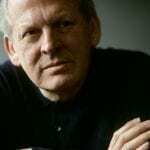 Director Sir Thomas Allen creates Mozartean Magic in Glasgow! Following on from their previous successes at Scottish Opera, Sir Thomas Allen and designer Simon Higlett have had another hit with this imaginative take on Mozart’s The Magic Flute, winning over audiences and critics alike. Inspired by Victorian steampunk, this beautifully crafted production brings together elements of the Victorian music hall and the burlesque with the world of industrial revolution Glasgow in a spectacular visual feast. Bravo Sir Tom! The performances continue in Glasgow this week before touring to Aberdeen, Inverness, Edinburgh, and Belfast.